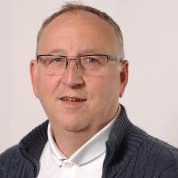 Stuart Rhodes is an experienced Business, Hospitality and Events academic with 30 years' teaching experience at universities and colleges in the UK, India, France, Germany and Czech Republic. He has experience working in the Hospitality and Events industry within the music and charity sectors. He received his postgraduate qualifications from Leeds Metropolitan University in the UK and is a Member of the Institute for Education, Fellow of the Institute of Hospitality, and qualified university lecturer. He has a strong interest in event photography and reporting, and his work is regularly published in the media in the UK. Stuart is currently working with Cardiff Metropolitan University and Greenwich University, London as External Examiner, advising on quality and consistency issues. He also teaches at a number of universities in their Business, Hospitality and Events programmes.